Description: Its all about the Benjamins! $100 Dollar bills on your computer. Just to help you stay motivated while Making Money Online. Description: Watch an amazing new 3D screensaver! 38 extremely realistic fish, 8 unique landscapes, multitudes of corals, sea plants and other creatures. 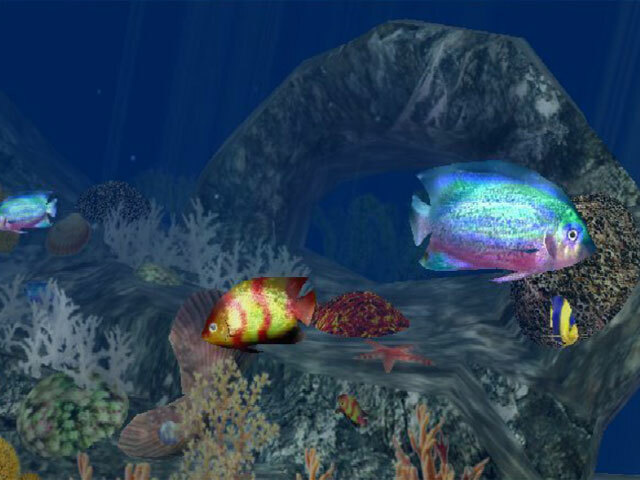 This screensaver is specially designed to carry you away to the serenity of the underwater world. Huge areas of colorful landscapes, calming underwater light, relaxing music. It's wonderful diversion after a busy day. Adorn your desktop and vary your day by diving into the blue depths of the tropical sea! Description: Watch a fleet of beautifully 3D rendered balloons flying in the cloudy sky. Full 3D environment with amazing amount of details and high-quality 3D animation. Photo-realistic colorful graphics with very advance, natural lighting effects. Relaxing music and hypnotizing sound effects let you enjoy real feel of nature.